Rescue! Rescue! Read All About It! I’d been keeping a low profile in the office until HOWLoween was finally over. The boss was asking me to cover all the costumes gone wrong, but eventually I put my paw down and explained that I was having a severe allergic reaction to the holiday—probably, I added, in connection to the increased amount of polyester I’d been exposed to in the form of fluffy hotdogs, unicorns, Super Bully capes and my (humiliating) attempt to dress up as matzo ball soup. I was over it and needed a REAL story to break me out of a severe case of writer’s block. 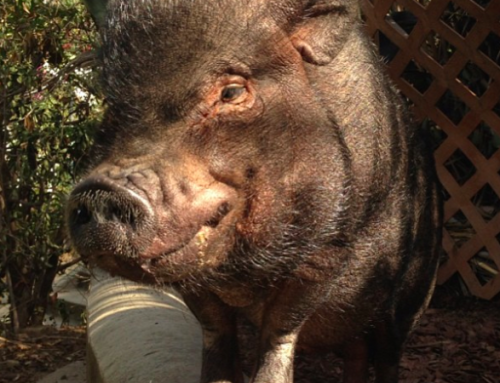 On Sunday night my buddy Chunky (you may know him as “Monkey” aka “Big Chunks”) sent me a text about an incredible fundraising initiative that our fellow Instagram bully buds were putting on. Lo and behold @wazzy_max_porkchop_cobalt had teamed up with my three favorite rescues, SoCal Bulldog, Road Dogs and Lone Star Bulldog Club Rescue to match every dollar donated in the month of November! When I heard the news I dialed my boss’s number. Granted, I’ve spent much of my distinguished journalistic career avoiding the man’s phone calls but I felt strongly that this story was worth the extra initiative. He answered but seemed annoyed that I’d called in the middle of a football game. I reminded him news never sleeps and told him I needed a first class ticket to Dallas, Texas—and fast. On Monday morning it became clear that he’d misunderstood the “first class” part, but I was going to be flying out of LAX in the early afternoon. As I packed my duffle I threw in my favorite cowboy boots, a red checkered flannel, and the black Stetson hat my dad gave me for Christmas one year. I also took my notepad, a new pack of freshly sharpened pencils and a rescue volunteer application—preparation is half the battle. Uber picked me up and just like that I was headed to the Lone Star State. The flight was a breeze. I snoozed after filling out my application over a cup of water and 12 packets of peanuts. It may not have been first class, but the complimentary nuts certainly made up for the minimal legroom. Thank goodness I’m short. I landed right on time and waddled out of DFW Airport in search of a dude named Troy. My notes said to look for a fellow covered in dog hair and drool. I pulled a pair of glasses out of my duffle and scanned the crowd that was waiting in the baggage claim. I quickly spotted a man in the corner who fit the description—dog hair? Check. Lots of drool? Check. Confident he was Troy, I trotted over and extended my right paw (like my mom trained me to do in the presence of new company). We hit it off immediately and, too excited to contain myself, I began asking Troy questions about his organization as we drove to rescue headquarters. I sensed I was on the brink of an epic story. Bogie: How did LSBCR come to be? 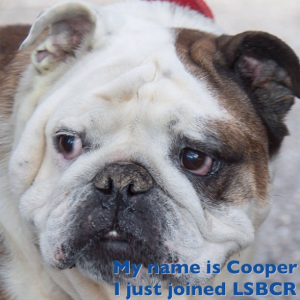 LSBCR: As a component of Lone Star Bulldog Club, Lone Star Bulldog Club Rescue (LSBCR), a non-profit, completely volunteer-driven group, is dedicated to saving and rehoming Bulldogs with loving families. We are based in the Dallas/Fort Worth area of Texas. Bogie: What kinds of rescue dogs does LSBCR take in? to be fully evaluated and finally matched with the best possible families. Bogie: How many dogs does LSBCR have in foster homes right now? And how many are available for adoption? LSBCR: Currently LSBCR has 35+ bulldogs in our program. All of these dogs are available for adoption, however some may be on medical hold until their treatments are completed and they are released from medical hold. Bogie: What is the greatest challenge you face as a rescue? LSBCR: We have TWO major challenges with our rescue. Both of these challenges are very interrelated. The first challenge is finding qualified, dependable volunteers. Rescue is hard work and it not for everyone. So, we are always looking for volunteers that have the passion and time to assist with the numerous tasks we need to keep rescue functioning. The second challenge is the large number of senior bulldogs. Senior bulldogs present a special challenge for rescue. They come in with all the love of a younger dog but with much less opportunity to leave rescue and find a forever home. Because they tend to stay in rescue longer it limits the number of foster openings we have. This combination of challenges tends to be a chicken/egg scenario for us. We at LSBCR are dedicated to ALL bulldogs (especially those that are “harder to adopt”). We love our Seniors and it is a challenge that we are more than happy to take on. Bogie: Is there an average amount LSBCR spends on rehabilitating each bulldog? LSBCR: It is very difficult to come to an “average” cost for our bulldogs. 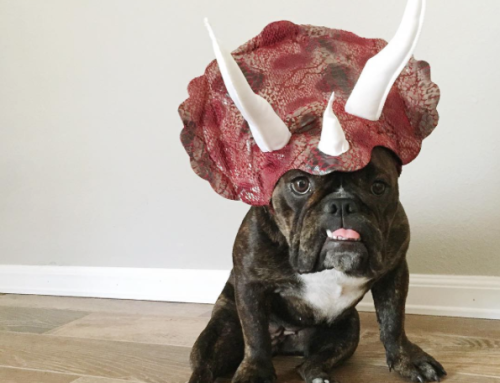 Every bulldog is unique in both personality and what they require. Many of the dogs come to us with a list of medical needs—cherry eye, entropion, allergies, ear infections, skin infections to name a few. One of our latest bulldogs to join the rescue had a vet bill of $1,000.00. This is more than double his adoption fee. This is why donations and fundraising campaigns are SO important for rescue organizations like us. Bogie: What is something a rescue can never have too many of? LSBCR: Foster families/volunteers. Since LSBCR does not have a kennel or a boarding facility, every dog that joins our program needs to be placed with a loving family to care for them until they find their perfect forever family. We usually are at or over our capacity. Each and every time we have an urgent need our foster families are the first to rise to the occasion. We have many foster families that have multiple fosters (even when they thought they could only handle one). Fosters and volunteers are everything to our rescue and we couldn’t do any of what we do without them. 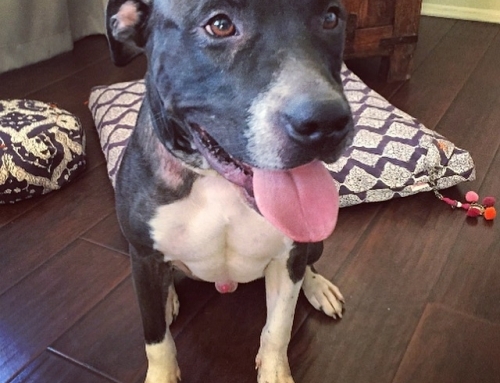 Bogie: What does fostering a dog really mean? emotional. Many of these dogs have abusive or neglected backgrounds. Fostering means looking past those issues and loving that bulldog until he or she becomes the bulldog they were went to be. Fostering means cleaning up “accidents”, managing medical treatments, dealing with each bulldogs “quirks” and determining what makes him or her tick. 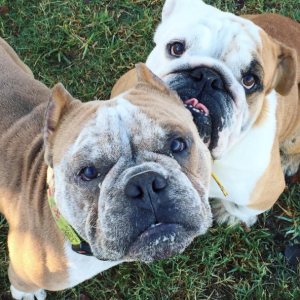 Just like every bulldog is different, every new fostering experience is different. Fostering isn’t easy (or for everyone) but it is one of the most rewarding experiences you’ll ever experience. 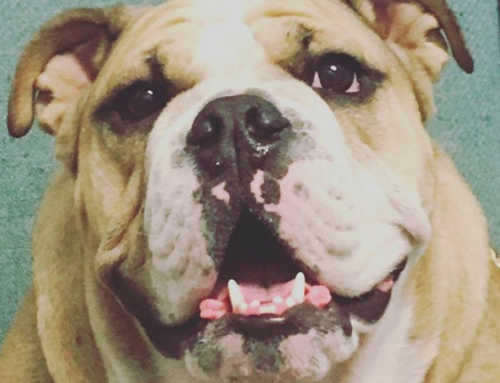 Bogie: Is there something future bulldog families should know about the breed that isn’t always advertised by breeders? LSBCR: Bulldogs are not for everyone. 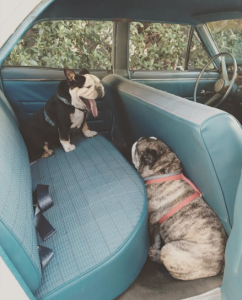 Many people are attracted to the cute “smooshed” faces and the chubby wrinkles, but bulldogs come with some inherent issues. Potential Bulldog owners should do their research about the breed and determine if their family is able to make that life long commitment. Bulldogs require extra cleaning attention to their wrinkles and tail pockets. Here in Texas (or anywhere with hot temperatures) you HAVE to keep your dogs inside and well hydrated. 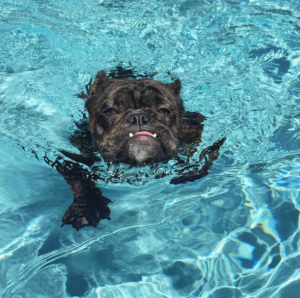 Every year bulldogs are lost to heat stroke that is 100% preventable. 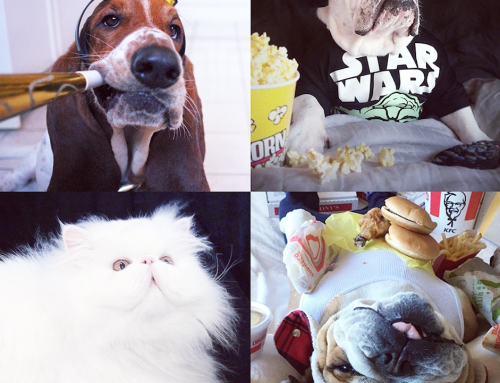 Bogie: How has Instagram changed/helped the awareness of rescues such as LSBCR? supporters and followers worldwide. This additional exposure has allowed us to receive support and donations from all over the globe. This additional support will allow us to help even more bulldogs. Bogie: An incredible fundraiser is going on in the month of November where @wazzy_max_porkchop_cobalt are going to match with every dollar donation made to you, SoCal Bulldog Rescue and Road Dogs. What will LSBCR do with some of the funds they receive? LSBCR: The money that we receive from this FANTASTIC fundraiser will go directly to medical care for each bulldog in our care. 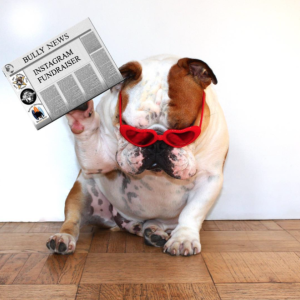 This fundraiser will allow us to save even more bulldogs in need. Bogie: Do you have any additional comments or advice you’d like to give The Droolitzer readers? 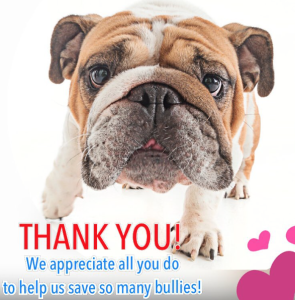 LSBCR: We at LSBCR would like to thank every person that helped to make a difference in the life of a bulldog. So many times we think that the only way to help is to foster. It’s not, if you can foster great. If you can’t foster, consider donating, if you can’t donate, consider volunteering, if you can’t volunteer, share and like posts on social media with your friends and followers. Every little bit helps and rescues can’t do what they do without the support of their followers/supporters.